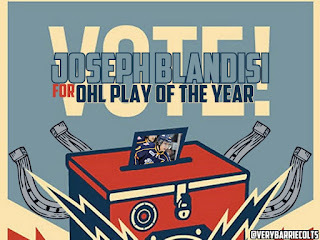 Final Round of #OHL Play of the Year Vote: VOTE BLANDISI! - Very Barrie Colts | A website covering the Barrie Colts of the OHL. 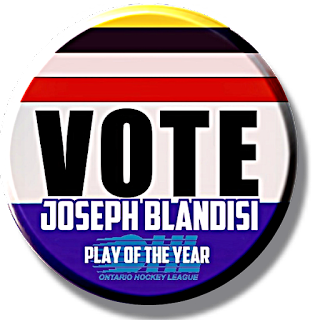 Home blog Joseph Blandisi London Knights Max Domi New Jersey Devils NHL OHL Peterborough Petes Play of the Year Final Round of #OHL Play of the Year Vote: VOTE BLANDISI! 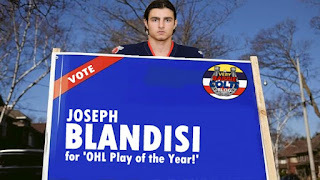 Final Round of #OHL Play of the Year Vote: VOTE BLANDISI! 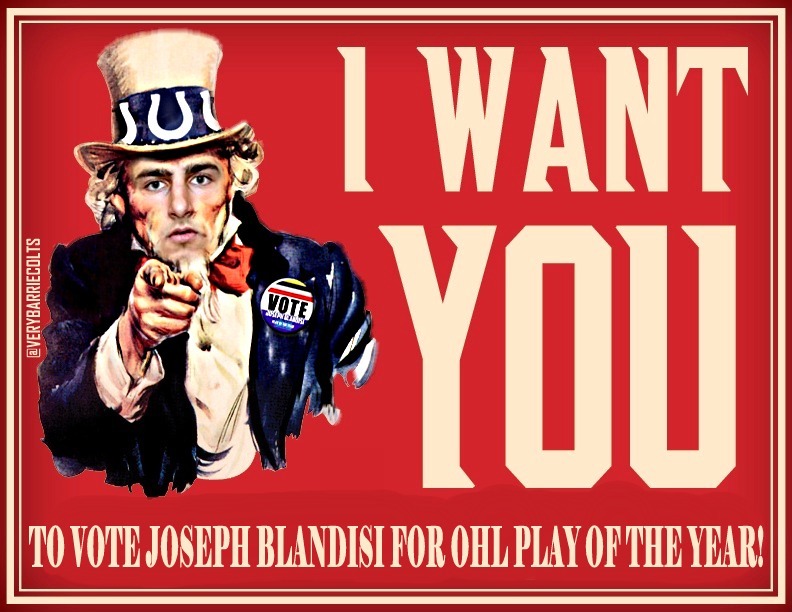 Colts captain from last season and New Jersey Devil Joseph Blandisi has already been nominated and advanced to the final round after wining the round one of voting on August 24th. 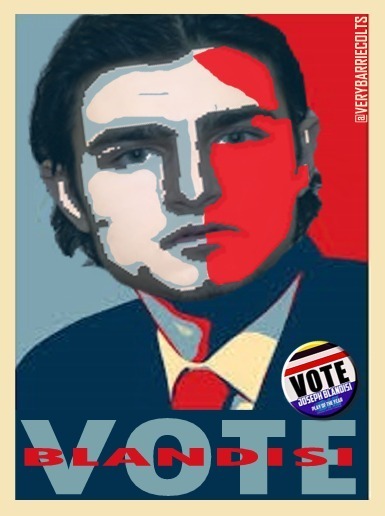 He has moved on the the final round which begins Monday September, 14th. 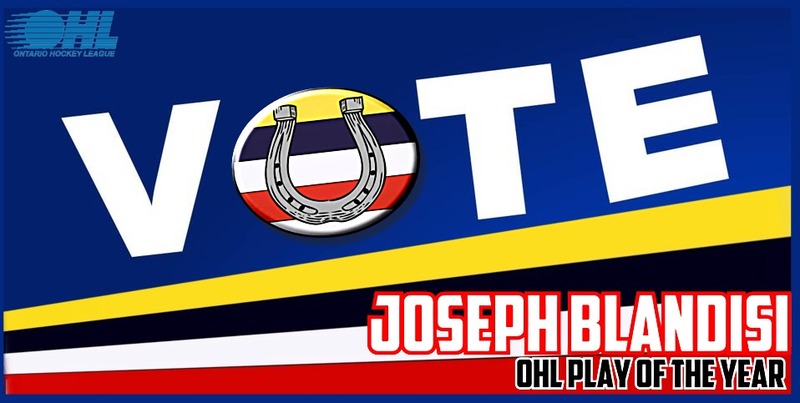 Voting can be done once daily and the final day to vote is Monday, September 21st. Blandisi is set to meet Jonathan Ang of the Peterborough Petes who won the East Division with 41% of the vote, Max Domi of the London Knights who won the Midwest Division with 35% of the vote and Jakob Chychrun of the Sarnia Sting who won the West Division with 38% of the vote. Looking to support Blandisi on social media? Maybe some of these images can help you! Feel free to use any of the below images to show you are Team Blandisi!